Welcome to my first post with Sunday Supper, whose mission is to bring people back together around the table each week. I love the idea, I live the idea, and so I joined up, this is my first Sunday Supper Submission–enjoy! And please do check out the other posts listed below there are some recipes shared. This Sunday Supper is hosted by Christie Campbell from a Kitchen Hoor’s Adventures, go check out her Chocolate Salame, and then make me some?? 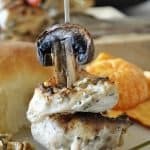 The theme this week is appetizers and I decided to rework my fabulous Mediterranean Grilled (fine broiled) Chicken, making it easy take and share at a party. I’d already played with the idea a bit and making it a Sunday Supper submission meant I finally jotted down the technique I was using and got it all figured out. juice of half a lemon or try balsamic vinegar! 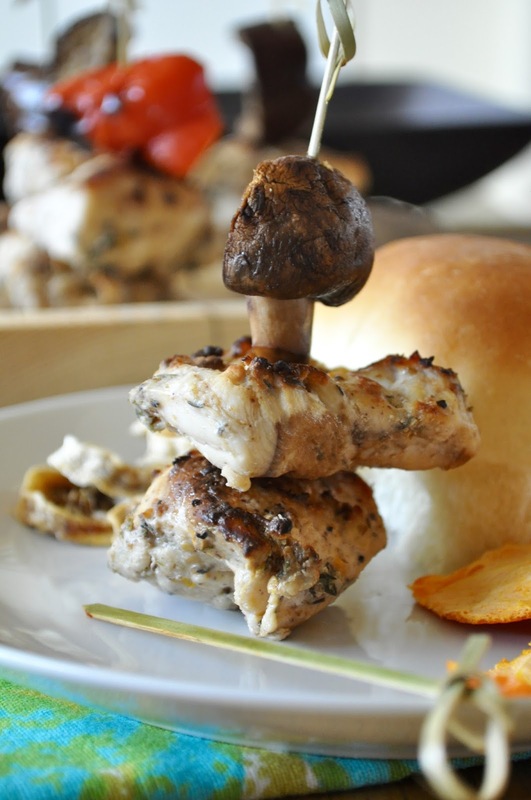 These look perfect for a party – I love all Mediterranean flavors, and would gobble these up! Welcome to the #SundaySupper family! Oh they are so perfect for parties! Glad to be part of Sunday Suppers–it's a lot of fun! What a fabulous finger food! So cute for any party. 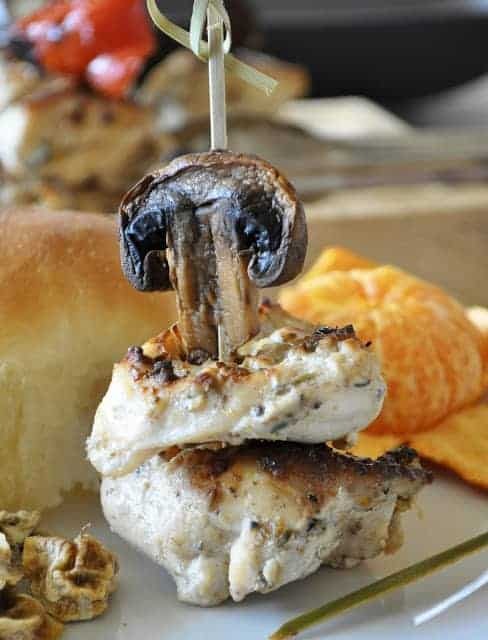 Who wouldn't love a Mediterranean flavor on a stick?! I made a version of them for an Easter Party and whoa they were a hit! Thanks! What a great idea for finger food–I love all these flavors! These.look.FABULOUS! 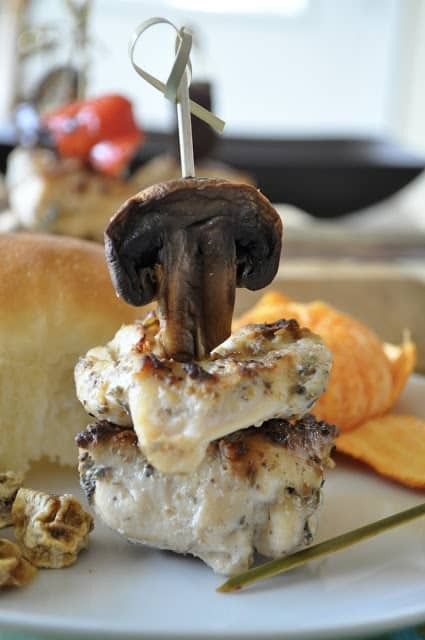 The chicken, the mushroom, the flavors!! Such a party in my mouth.